Avoid the time and expense of cashing paper checks, and have all or part of your paycheck or government payment loaded directly to your Ralphs Rewards Prepaid Debit Card with Direct Deposit. To get started, follow the steps below to complete your direct deposit enrollment. 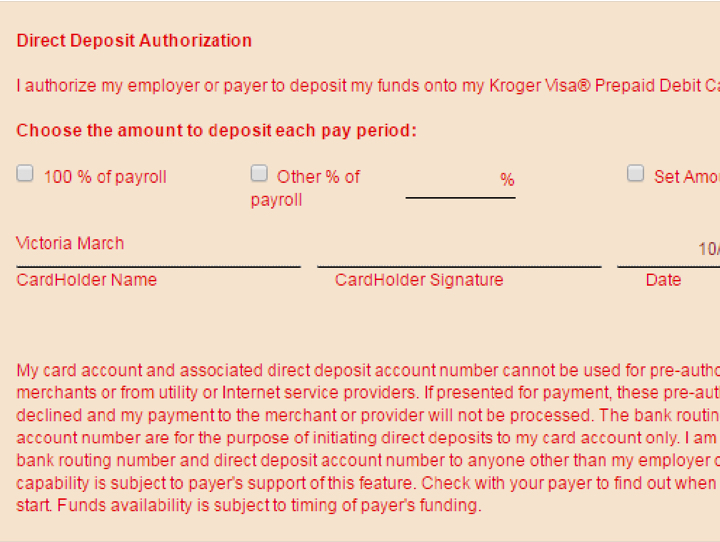 Print this Direct Deposit Process Authorization Form. 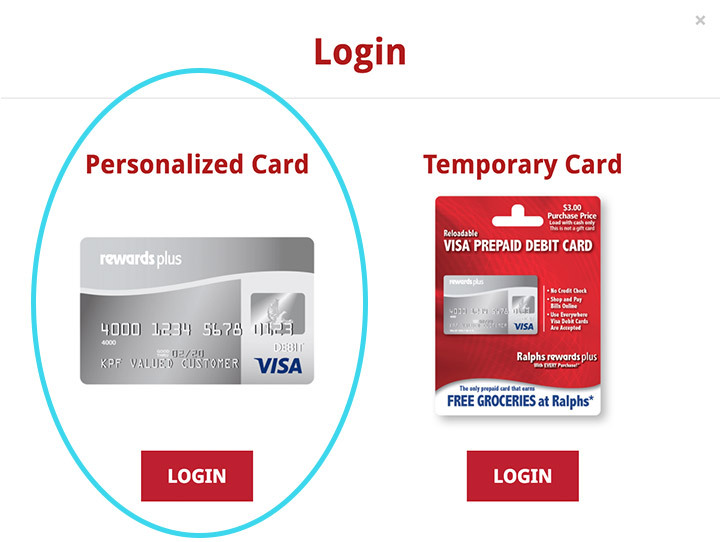 Log in to your Personalized Card Account or call 888-853-9523 to speak to a customer service representative. 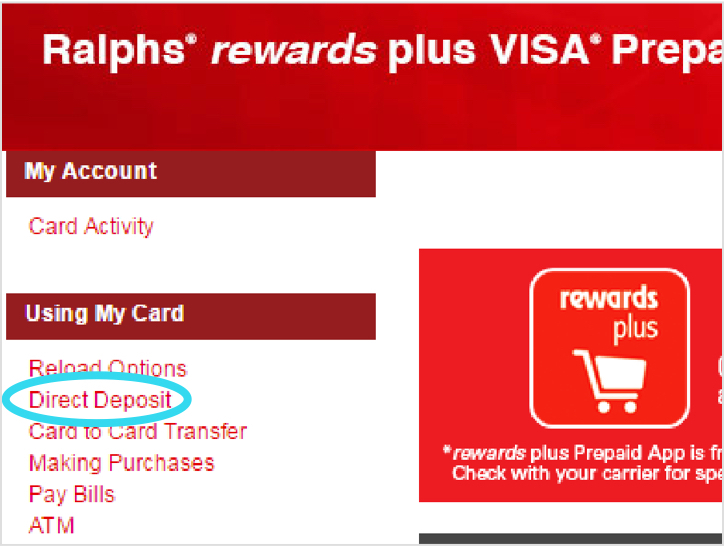 Complete the form using the “Account Number” listed on the Direct deposit page. 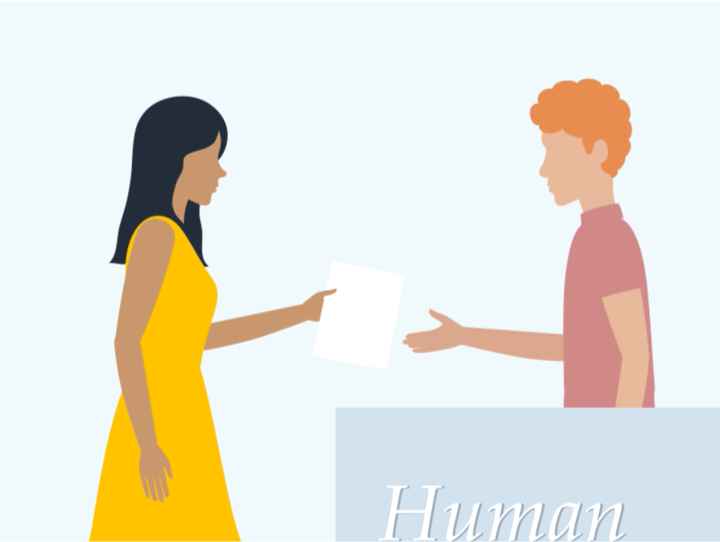 This is NOT your card number. 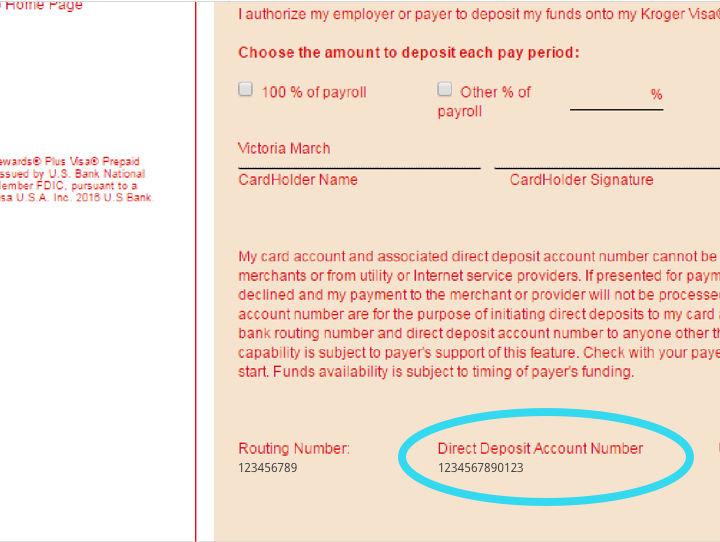 Provide the Direct Deposit Process Authorization Form to your employer or payor to enroll in Direct Deposit today.